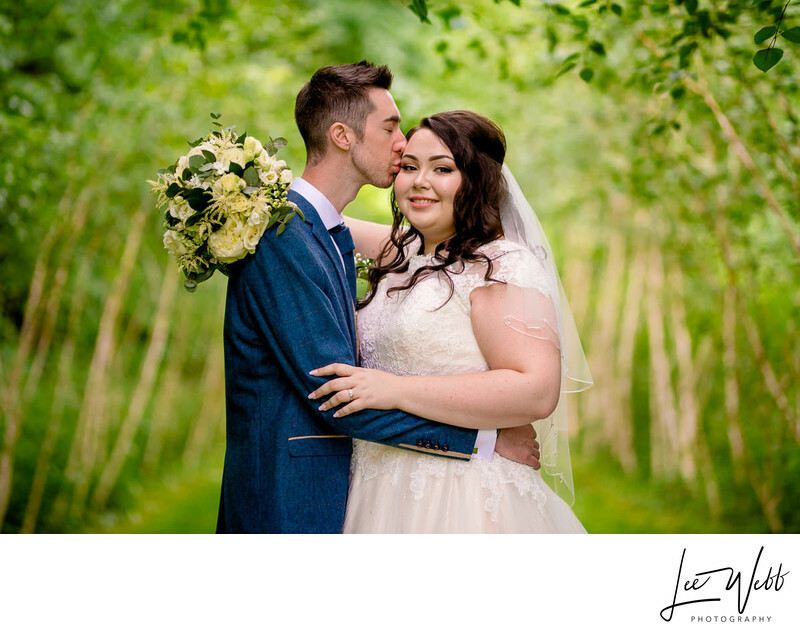 Kristi and Richard had a fantastic Cripps Barn wedding in the middle of summer. 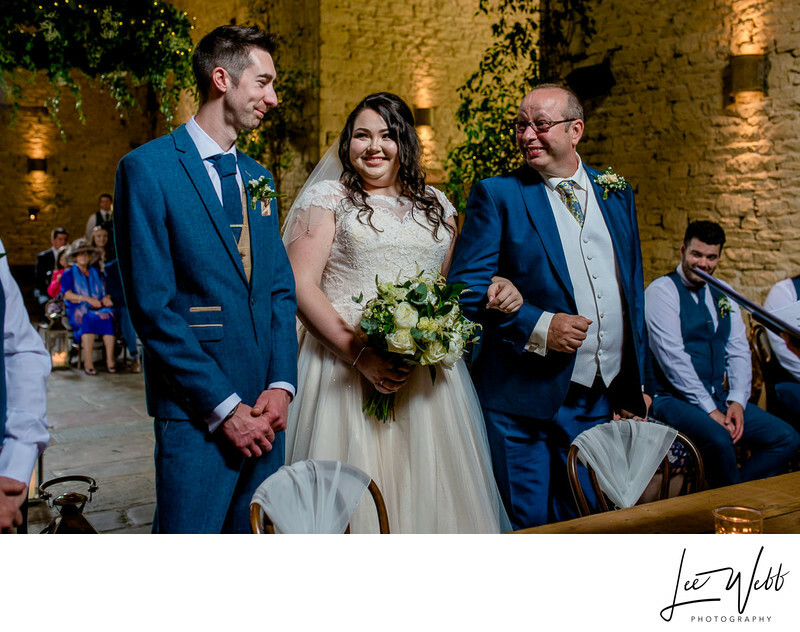 This was my first time working at Cripps Barn, so as I always do, I visited the venue a couple of weeks before the wedding, and arranged a meeting with the venue staff so I could be shown around. 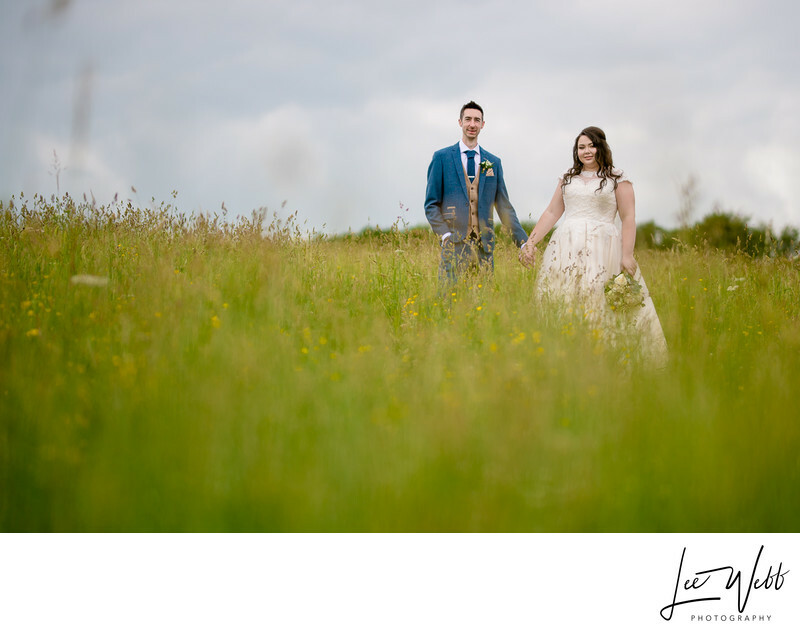 One of the places I fell in love with the most was the wildflower meadow that's specifically grown at the rear of the venue, just for wedding photographs! 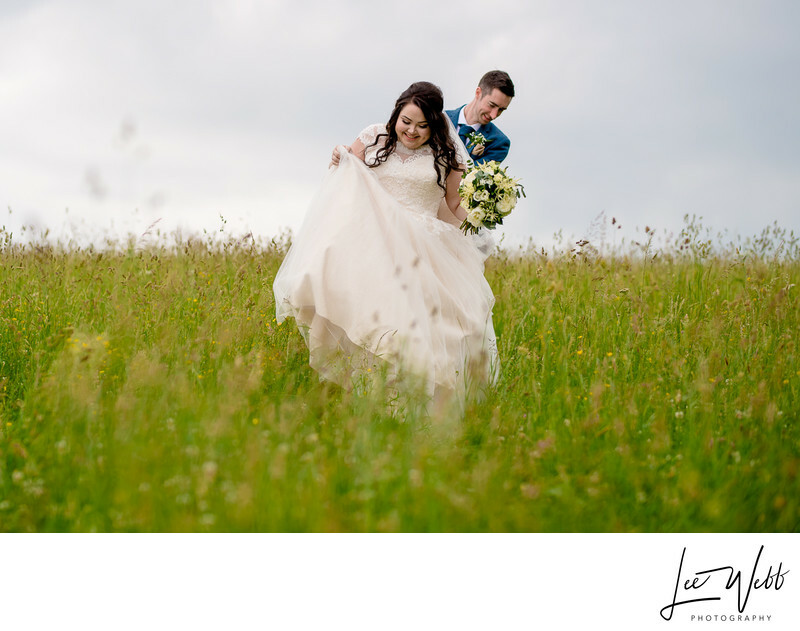 There's acres of grasses and flowers to shoot in, and as a wedding photographer you're really spoiled for choice. As soon as I started taking photos at Cripps Barn I was blown away by so many different aspects of the venue. 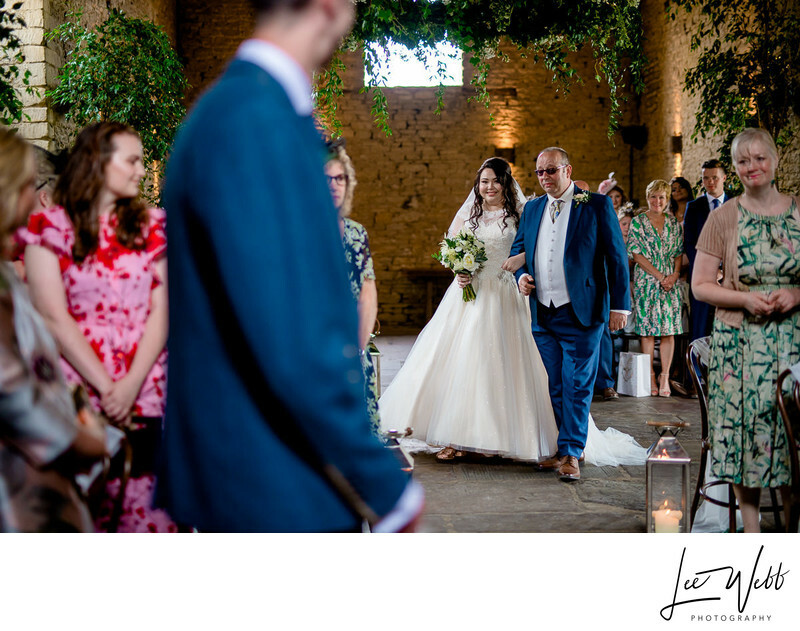 The sheer quality of the light inside the converted barn where wedding ceremonies take place has to be seen to be believed, and the layout, professionalism and organisation of the venue is really second-to-none. Outside the venue, there are many places that I found to take some lovely photos in, whether it be a formal family photo or a more intimate couples photo of just the bride and groom. The way that the outdoor space is laid-out means that you don't have to go far at all to find a secluded area, perfect if you're a little nervous about being watched as you have your wedding photos taken. The tree-lined walkway that takes you away from the venue was one of my favourite places to shoot on the wedding day. 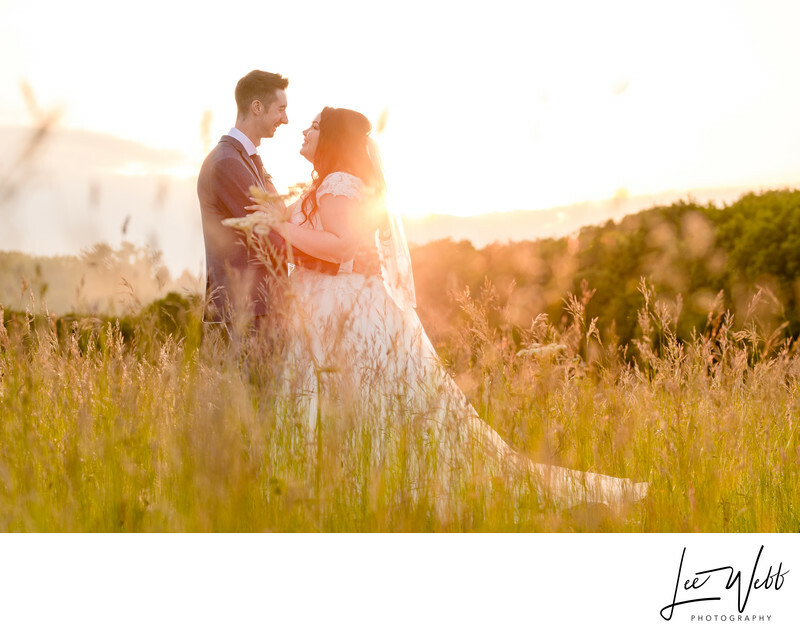 The trees in the background of the image really lead your eye into the centre of the photo, and help create a natural frame for the bride and groom. The dense canopy of the trees above also provided an area of natural shade which gives the most flattering light a photographer could ask for. Just before the wedding breakfast was about to be served, it looked like it might rain - it had been threatening all day, so we decided that we'd take some photos in the grounds of Cripps Barn, just in case the heavens did open and this was our last opportunity to do so. 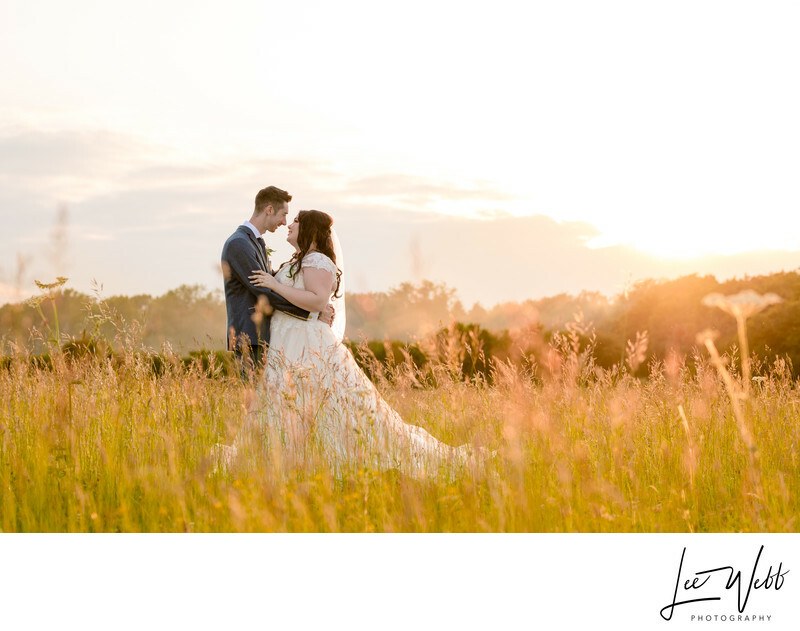 I'm very happy with these photos, and the client loves them too, but for me they're missing that little bit of magic that only a golden sunset can provide. As we sat for dinner, I was quietly hoping for a stunning sunset and that it remained dry enough for us to take advantage of it! 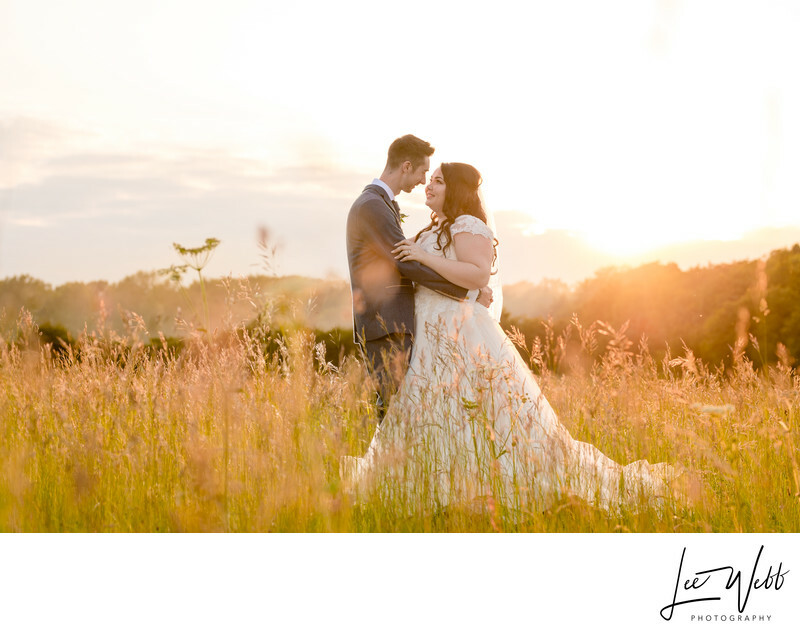 In order to get these amazing wedding photos at Cripps Barn, I positioned the bride and groom between myself and the setting sun, and knelt down as low as I could in order that I could shoot through the long grass, the tops of which were being picked out by the warm setting sun. I placed a remotely-controlled flashgun behind the bride and groom, pointing back towards the camera. The effect of this might be hard to spot, but if you look closely you can see a slither of light running down the back of the groom - this helps 'lift' him from the background slightly, making sure the outline of his jacket isn't lost into the background completely. Cripps Barn is a fantastic wedding venue, and one that I cannot wait to work at again. Location: Cripps Barn, Cirencester, GL7 5BA.